Lead by Dale Kendrick, Deacon, assignments are provided to participating members to send cards, calls, or in home visits to individuals who are in need of support or encouragement. Typically on the first Sunday of each month, a fellowship meal is held for visitors and members participating in this ministry. At every worship service, we dedicate a portion of time to send prayers of praise, thanksgiving, and supplications to our Lord. 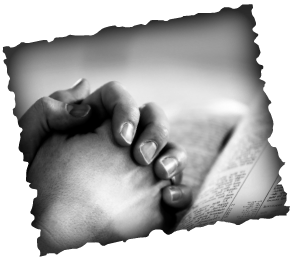 In addition to this time of prayer, we provide a detailed listing of individuals requesting prayers in our bulletin and Sunday order of worship. Members participating in the Greeter's Program, lead by Wayne Taylor, Deacon, strive to provide a welcoming environment to visitors and help them find classes for each family member. Our students are blessed to have members who desire for them to have a Christian education. A committee lead by Jarrod Halloway, Deacon, sets the rules and guide lines for recipients of the scholarship. Every year, we have multiple students take advantage of this unique opportunity. Chester Meeks, Deacon, provides coordinates all counseling activities individuals in our congregation may have need of. In addition, the congregation has hired an independent counselor so members can receive those services at no charge and with anonymity.